General Motors designed and built a battery-powered Corvair in 1964. Largely experimental, the Electrovair was based on the four-door model but it reportedly had its rear doors welded shut in order to increase structural rigidity. Although the project had many shortcomings, engineers continued to develop the technology after the car was presented. A second prototype appropriately dubbed Electrovair II was designed a year later and presented to the press in 1966. Based on a second-gen four-door Corvair Monza, the Elecrovair II was powered by an AC induction motor installed in lieu of the Corvair’s air-cooled flat-six. The motor got electricity from a 532-volt Silver-Zinc battery pack mounted in the front trunk and above the aforementioned motor. The Silver-Zinc pack was chosen because it provided the highest energy storage per unit weight and the highest peak power output of any battery chemistry available at the time. Cooled by oil, the motor could spin at up to 13,000 rpms, enough to generate the equivalent of 115 horsepower. Although the Electrovair II tipped the scale at 3,400 pounds (1,542 kilos) – 800 pounds (362 kilos) more than a comparable gas-burning Corvair – it was capable of matching its gas-powered counterpart’s zero-to-60 mph time of 16 seconds flat. The battery-powered Corvair reached a top speed of 80 mph (128 km/h), not far off of the regular Corvair’s top speed of 86 mph (138 km/h). To bring the sedan to a stop, Chevrolet fitted it with upgraded brakes in order to make up for the lack of an engine brake. Riding on Dayton wire wheels, the Electrovair II was nearly identical to a regular-production Corvair when viewed from the outside except for an elegant “Electrovair II” emblem mounted on the left fender and the conspicuous lack of an exhaust pipe. The story was largely the same inside the car, where one of the most notable differences was a set of EV-specific gauges mounted where the radio is usually found. Like many early electric cars, the Electrovair II had several downsides that were difficult to overcome. The Silver-Zinc battery pack provided it with a driving range of 40 to 80 miles (64 to 128 kilometers) and it took a long time to fully recharge. To complicate the matter, engineers quickly realized the pack started to wear out after about 100 charging cycles. A brochure distributed to the press in 1966 explains the idea behind the Electrovair II was to keep up with the competition by experimenting with new technologies. With this in mind, the Electrovair was a rolling display of technology and it was never seriously considered for mass production. “The objective is to determine what is technically feasible, regardless of whether a project ever will become economically possible. The idea is to be ready for the future,” explained the brochure. Today, the Electrovair II is part of GM’s Heritage Collection and it is occasionally taken out for car shows and other events. 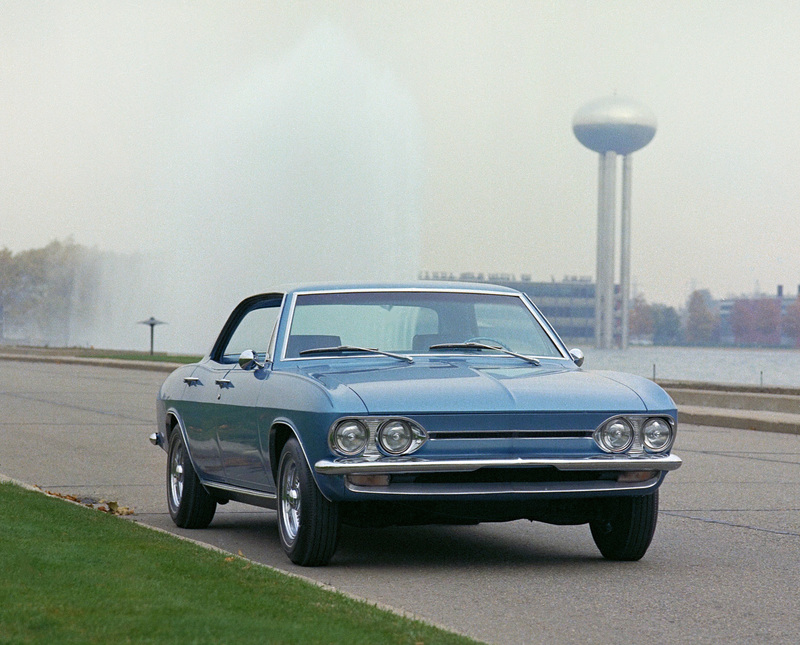 Photos and video courtesy of Chevrolet’s archives department.